Congratulations to Mr. Calhoun, Cade Babin. 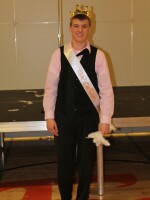 Fort Calhoun High School held their annual Mr. Calhoun contest on Sunday to benefit Post Prom. Eight young men participated; Cade Babin, Cain Coontz, Zane Fickbohm, Riley Grosse-Rhode, Bret Klabunde, Ethan Shaffer, Sam Winter and Jacob Tegels. They were judged on 4 events; Beachwear, Talent, Evening wear, and Final Question. Runners up were Bret Klabunde and Jacob Tegels. Thank you to all the volunteers who helped to make this night a success. This entry was posted in Uncategorized on February 29, 2016 by Jennifer Gepson. The juniors have been working extremely hard on their final assessment for Of Mice and Men. 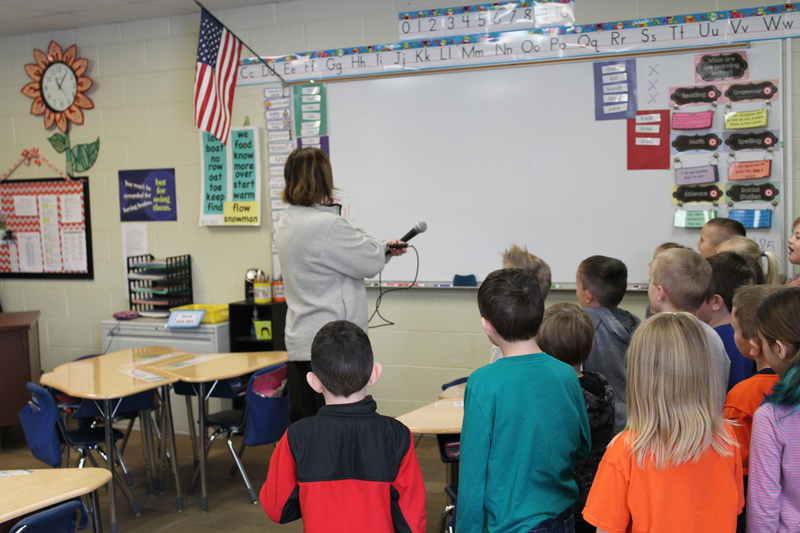 For their final assessment, in groups they wrote and performed a skit. Their skit had to be centered around irony, which is the concept we focused on while reading Of Mice and Men. The students had a lot of fun creating these skits, and learned collaboration skills, how to write a script, and apply irony in a creative way. This entry was posted in Uncategorized on February 26, 2016 by Jennifer Gepson. 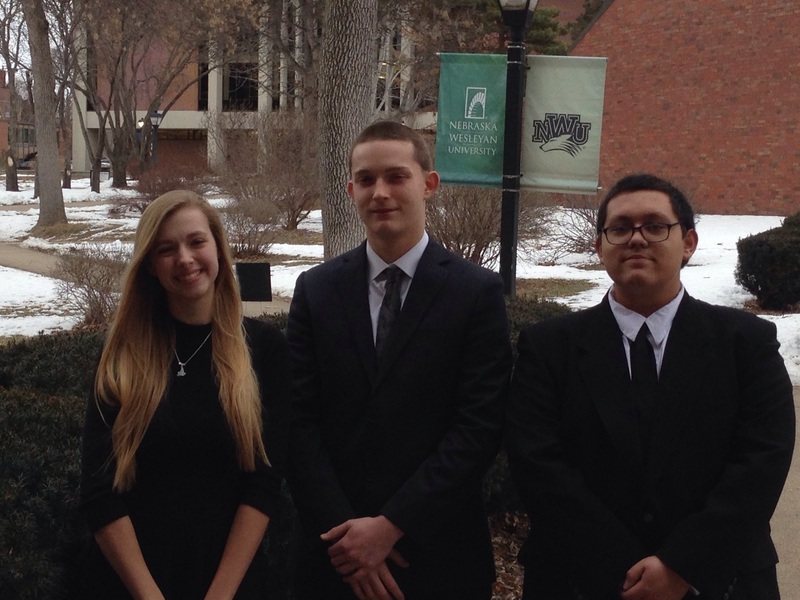 Please recognize the following students for being accepted to the Nebraska Wesleyan University Honor Band, Dalton Ashby, Amanda Hansen, and Christopher Lopez. The clinics were held on February 11, 12 and 13th with a final concert on the 13th. This entry was posted in Uncategorized on February 22, 2016 by Jennifer Gepson. 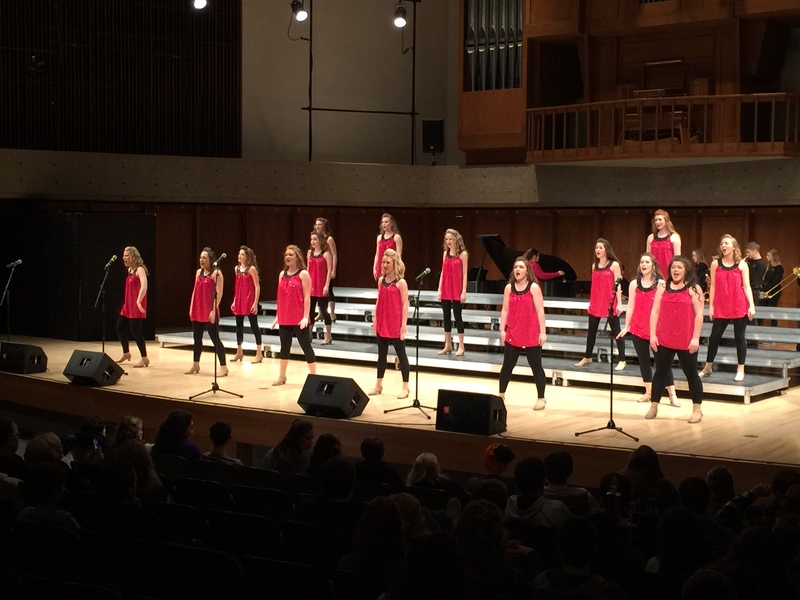 The High School Show Choir, Phenomenon, competed in their first competition of the season on Wednesday February 10th at the UNO Show Choir Festival. The group performed very well. 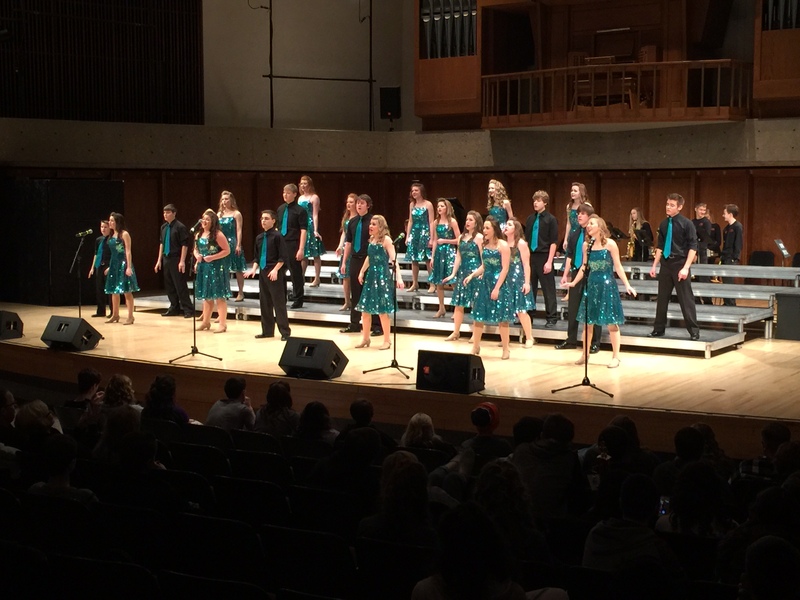 They were a crowd pleaser and received high ratings from all three judges. 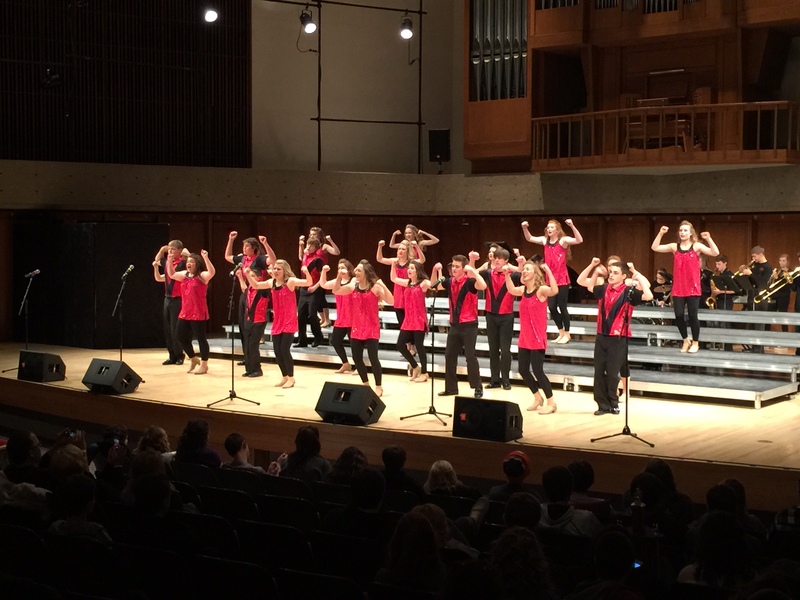 Phenomenon will continue their competition season with three more competitions through the end of March and finish the season with District Music Contest in April. Who is the most talented senior man at Fort Calhoun High School? Come find out Sunday night at 7:00 in the High School Gym. The Mr. Calhoun contest is a fundraiser for Post Prom. $5 for junior and senior high students and $7 for adults. This entry was posted in Uncategorized on February 21, 2016 by Jennifer Gepson. 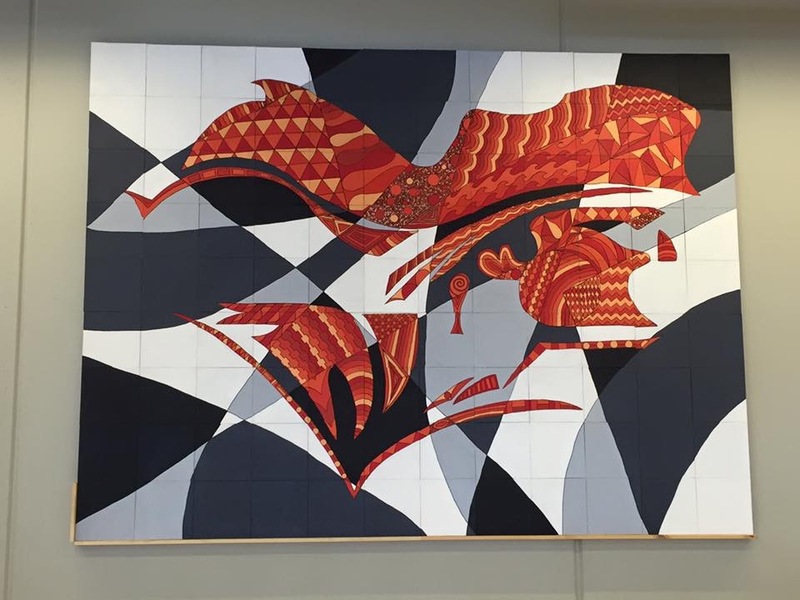 The Art Students at Fort Calhoun High School created a 9′ x12′ mural made up of 108 canvas panels. The figure is of our school mascot, The Pioneer. This has been in the making since last Spring but it was just recently hung on the wall of the Commons. The original design was created by Junior Skylar Wear but the painting of each panel was done by many of our Art Students. This entry was posted in Uncategorized on February 16, 2016 by Jennifer Gepson. 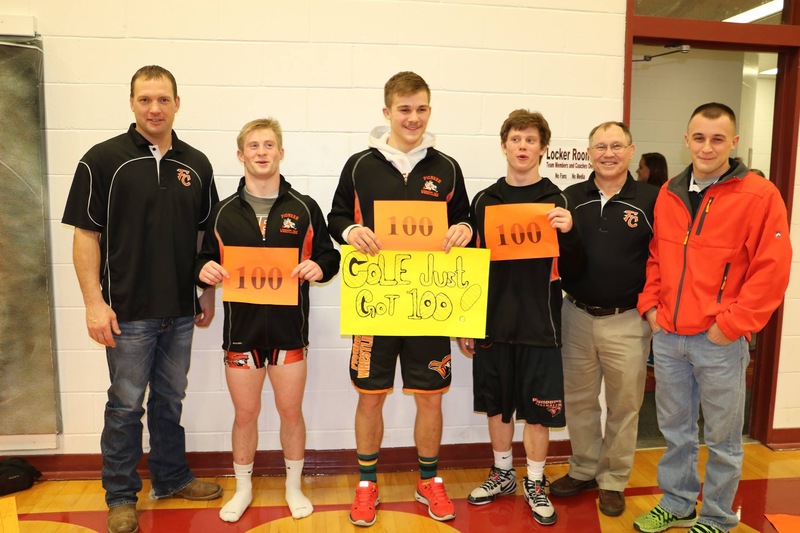 Congratulations to our 2016 State Wrestling qualifiers Lonnie Albertson, Jacob Tegels, Dylan Hartline and Cole Welchert. Lonnie and Jacob were district champions. 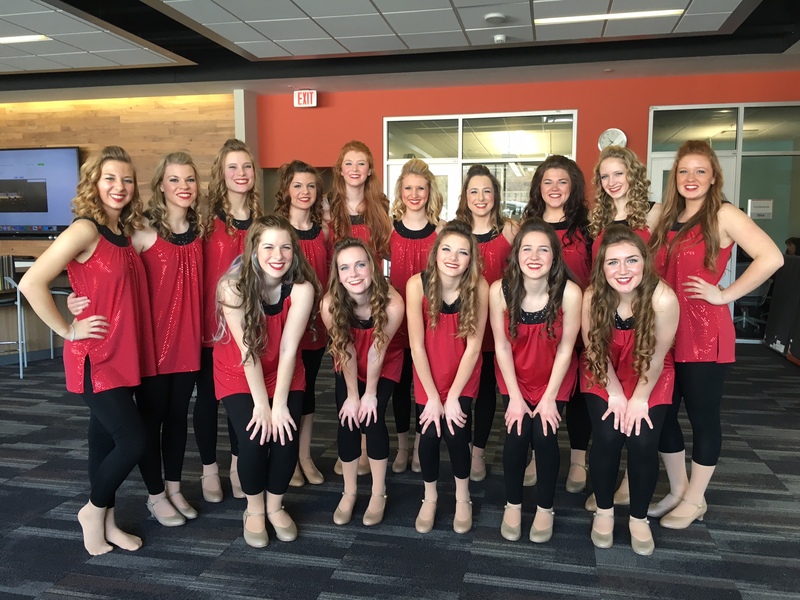 Wish them luck at the State Meet this weekend Feb. 18th-20th at the CenturyLink Center in Omaha. They will wrestling 1st round each morning at 9:30 am. 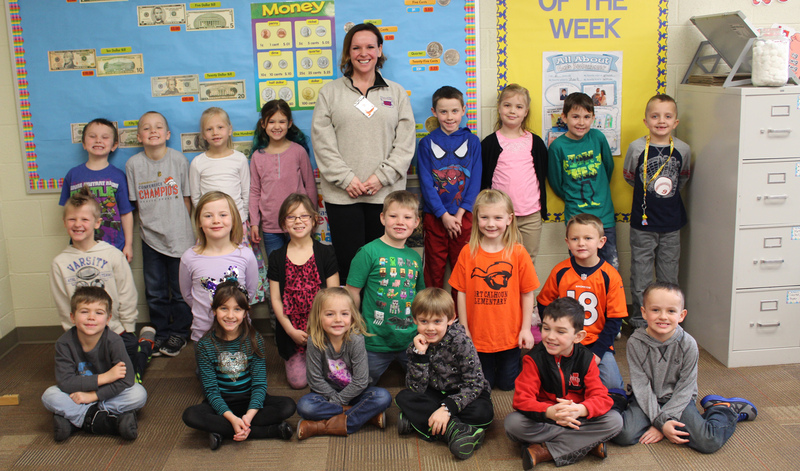 Miss Juranek’s 1st grade class was chose as a stop on Kat 103.7’s Book Tour. 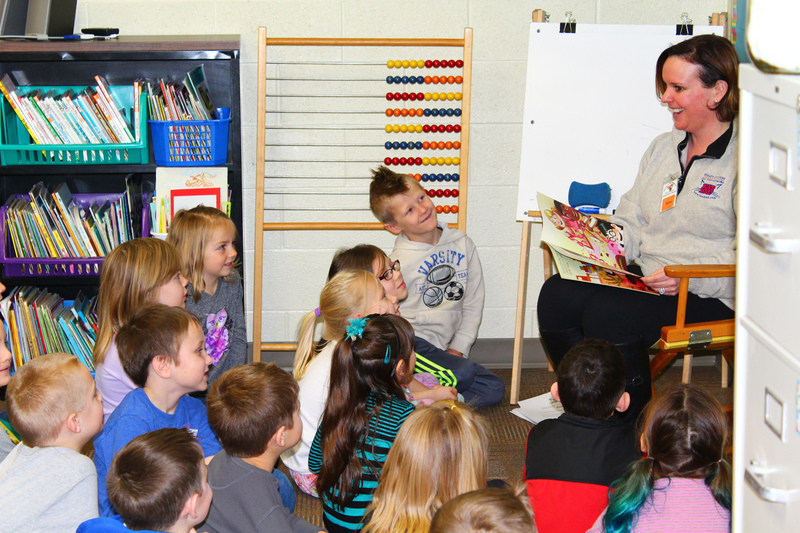 Gina came to the classroom on Monday, January 8th to read to our students, answer questions about her job as a country music DJ and record the students saying the Pledge of Allegiance. The Pledge was then played on-air on Friday, January 12th. 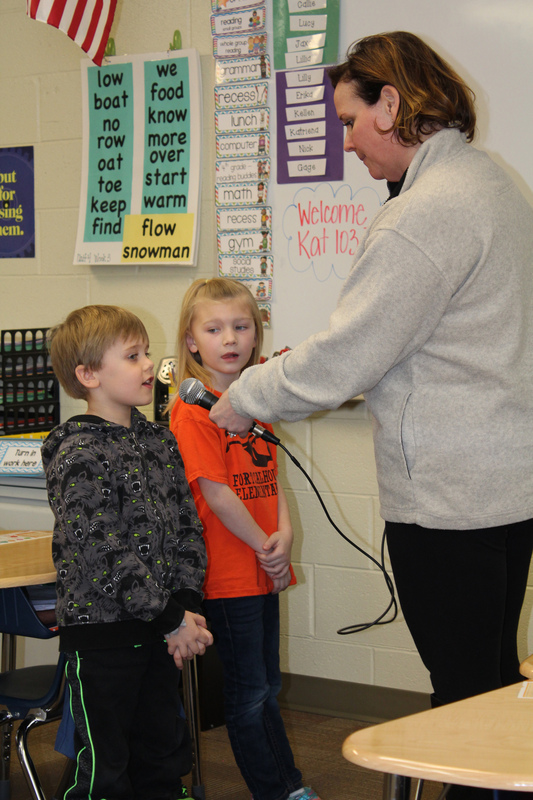 The students had fun and did a great job saying the Pledge. This entry was posted in Uncategorized on February 15, 2016 by Jennifer Gepson. Congratulations to our Senior High School Wrestlers, Jacob Tegels, Cole Welchert and Lonnie Albertsons. They each have 100 plus wins in their careers. 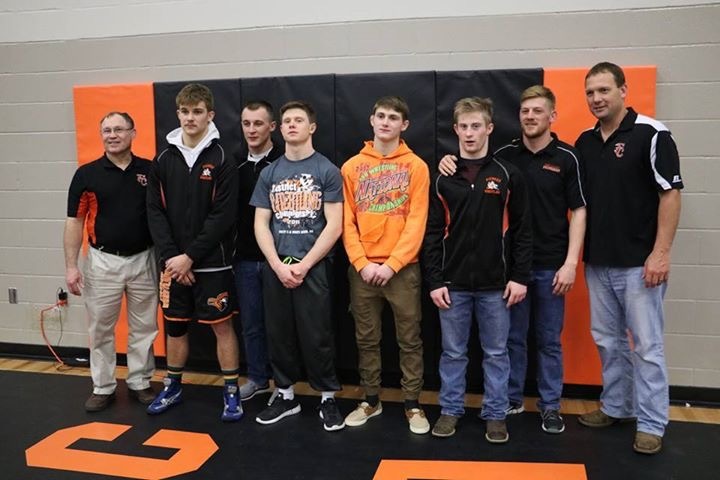 They are pictured here with their coaches Monte Christensen, Jim Meyer and Brody Welchert. This entry was posted in Uncategorized on February 8, 2016 by Jennifer Gepson. 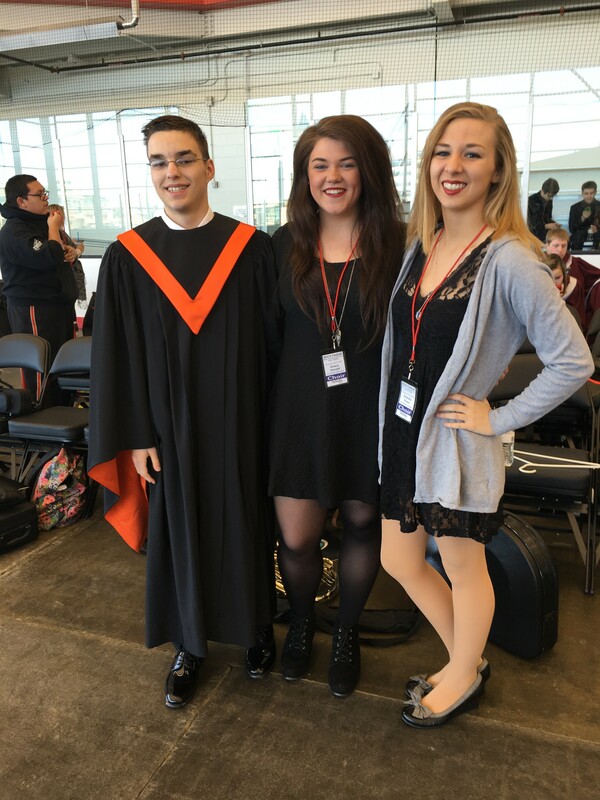 Senior, Grace Herold, and juniors Dani Dross and Chris Hansen were selected for the UNO honor choir held January 29-31, 2016. 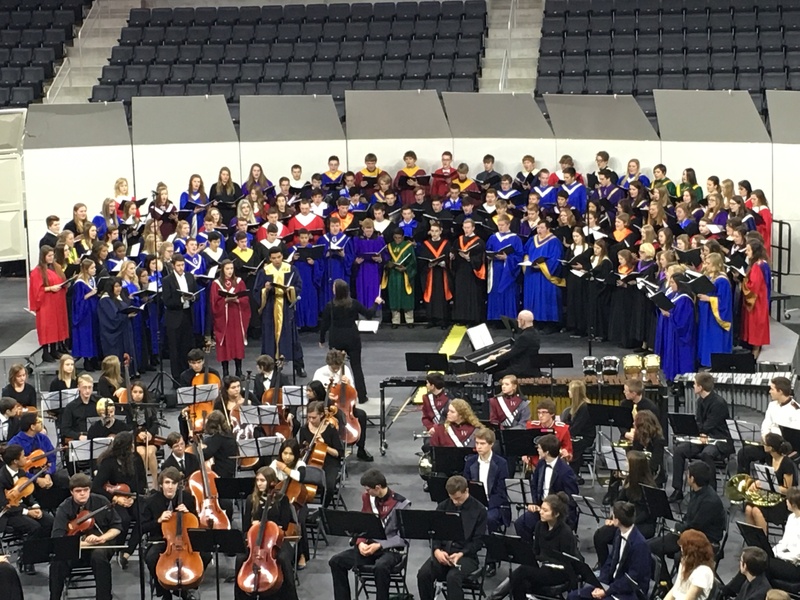 The students collaborated with over 100 other students from other area high schools for a weekend full of music with the UNO choral director, Shannon Gravelle. 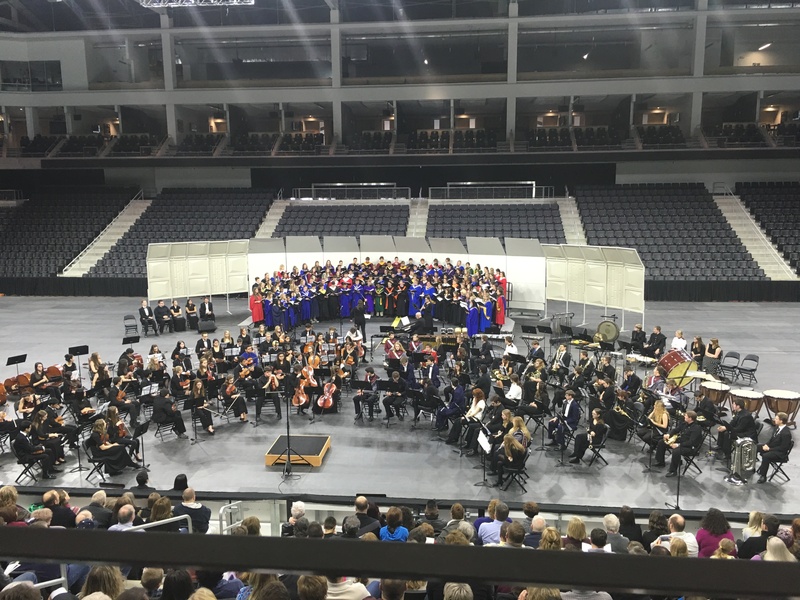 The weekend ended with a final concert on Sunday January 31 at the new Baxter Arena. 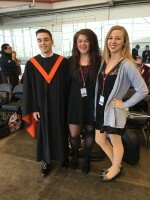 The concert featured the honor choir as well as the honor band, honor wind ensemble and honor orchestra. This entry was posted in Uncategorized on February 7, 2016 by Jennifer Gepson.